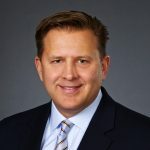 As president of SkillStorm, Doug Wise is responsible for the SkillStorm strategic vision as it relates to both operating divisions: Onsite Technology Services and Cloud Workforce Solutions. In addition he oversees all SkillStorm operations, including risk management, financial reporting, and compliance. Prior to joining SkillStorm in 2018, Wise worked for over two decades as a senior executive leader within the IT services industry. Wise began his career in 1993 as a recruiter. He consistently ascended into roles of greater responsibility including Sales, Account Executive, Director of Operations, and Vice President. Wise is based out of the Charlotte, North Carolina office. 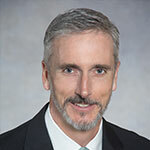 Michael Connolly is the Executive Vice President of Enterprise Technology Services for SkillStorm. He is responsible for setting the strategic direction of the Enterprise Services Division including IT governance, centers of excellence, transformation, and shared services. Connolly has over 20 years of experience leading and integrating IT governance, enterprise IT processes, emerging technologies, shared services, program management offices, and enterprise testing across several Fortune 500 companies. His industry experience includes financial services, healthcare, and digital. Connolly is based out of the Charlotte, North Carolina office. 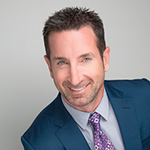 Joe Doran is a Executive Vice President of Strategic Accounts for SkillStorm. Doran is responsible for the execution and delivery for our high profile, strategic Onsite Technology Services accounts. He also oversees operations management, business development and management of employees and contractors for each of the regional markets. Prior to joining SkillStorm in 2010, Doran worked for a publicly-traded company in the Technology Services industry. Doran is based out of the Jacksonville, Florida office. 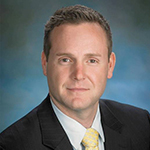 Brian Harris is the Executive Vice President of Recruiting & Delivery for SkillStorm. Harris is responsible for all delivery efforts throughout our Strategic Accounts and Cloud Workforce Solutions divisions. Harris’ role is employee-centric ensuring the integration of technology experts into the SkillStorm family regardless of location. He ensures timely completion of projects and effective results as it pertains to strategic hiring expansion, implementing sourcing plans, and leading key initiatives set by clients, including diversity sourcing. Harris joined SkillStorm in 2005. Harris is based out of the Indianapolis, Indiana office. 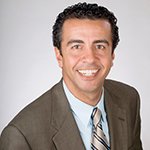 Mark Parisi is the Executive Vice President of Solutions & Cloud Workforce for SkillStorm. Parisi is responsible for setting the strategic direction of the Cloud Workforce Solutions division, including the SkillStorm U.S.-based delivery centers. In this role, he is accountable for financial results, customer satisfaction and quality delivery on assigned projects as well as strategy around growing customer relationships. Prior to joining SkillStorm in 2013, Parisi worked as a business development director for a privately-held IT services firm. Parisi is based out of the Charlotte, North Carolina office. 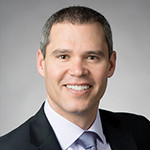 Vince Virga is the Chief Executive Officer and Founder of SkillStorm. Virga started SkillStorm in 2002, achieving great success very quickly within the Technical Services and Government Contracting industries. Virga continues to oversee all divisions and branches of the company. Prior to SkillStorm, Virga held positions at all levels within the Technical Services and Government Contracting industries and was recognized as a top producer in each role. Virga is based out of the SkillStorm headquarters in Fort Lauderdale, Florida. Hany Girgis is the Chairman and Founder of SkillStorm, contributing his industry expertise to the corporate strategy. 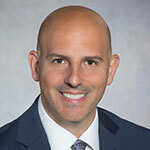 Girgis served as President of SkillStorm for 10 years, overseeing many of the Fortune 500 clients in the Information Technology, Government, Insurance, Finance, Manufacturing and Telecommunications industries. Prior to SkillStorm, Girgis worked at a national, publicly-traded technical services firm rising quickly through the ranks. Girgis is based out of the San Diego, California office.